In our Instagram feed, we sometimes share RTW (ready-to-wear) looks that we come across that would be easy to recreate with a Blank Slate Pattern. 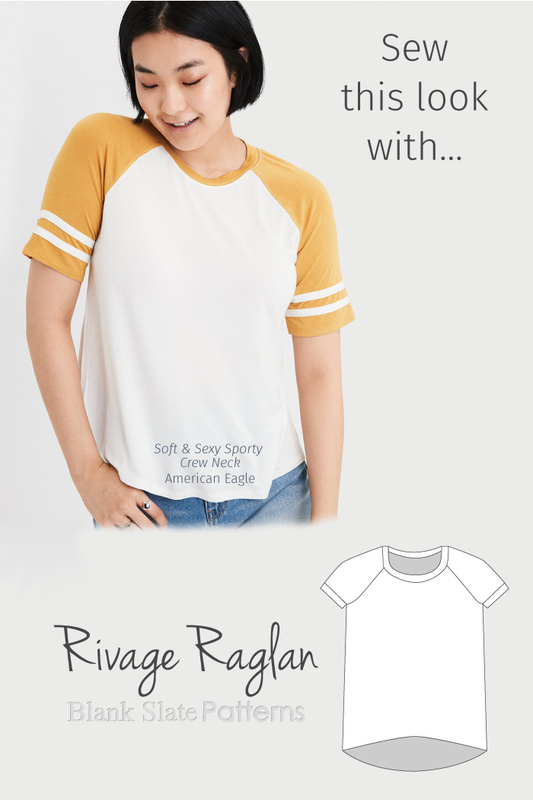 Here is one way to interpret the Rivage Raglan pattern. Give the Rivage a sporty look with vintage-looking stripes. First, to change the hemline, you can trace the curved one from the Texana or Shoreline. Then, lengthen the short sleeves about 2-3 inches (5-8 cm) and omit the hem band. Before attaching the sleeves to the body of the t-shirt, attach stripes as shown in this post.